There are several top reasons to plan Himachal Pradesh vacations. It’s spectacular snow-covered peaks, dense pine forests, thundering rivers and zigzag roads, is a gift from nature to Himachal. 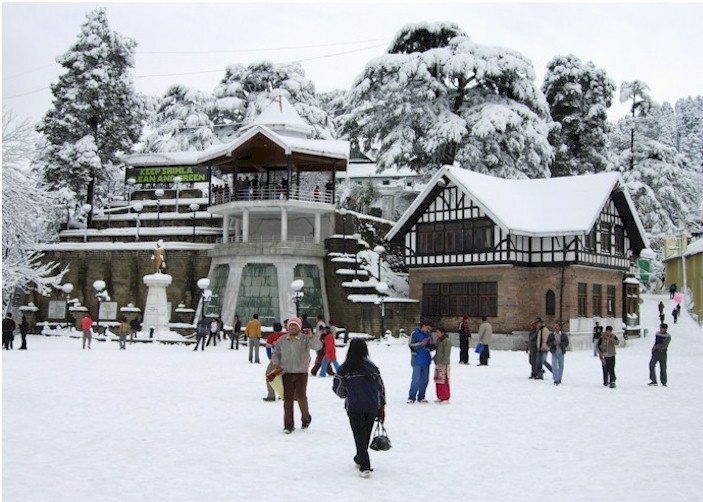 The numerous hill stations here are forever dressed in a holiday-like environment, while its colonial heritage, a gift from the British India, weaves its unique charm on the people. The spectacular topography of this region provides immense opportunities for engaging in a diverse range of adventurous moments. In Himachal Pradesh, there is more than enough to explore, so many extraordinary places to go. Whether it is Shimla, Manali, Dharamshala or Dalhousie, each destination presents you with endless tails of fun, excitement, and extraordinary pleasure. So, what better place then, to head for a holiday? Moreover here we are with the list of top 15 reasons to plan vacations in Himachal Pradesh. Shimla, the capital of Himachal Pradesh, also long back ago it was the summer capital of the British India empire. Even today, that colonial legacy is visible in Shimla’s architecture. 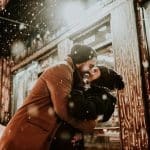 Despite, much of Shimla’s social life spins around the Mall Road and spending some quality time there is considered the best things to do in Shimla. Dotted with shops and restaurants, it bears a close likeness to an English Home County’s market places. Jakhoo Temple, the highest point of the town, offers beautiful glimpses of the region and its mountains. Christ Church, Chadwick Falls, Tudor library building, the Ridge, Lakkar Bazaar and many other attractions are here to explore. 2) Khajjiar- Mini Switzerland of India! 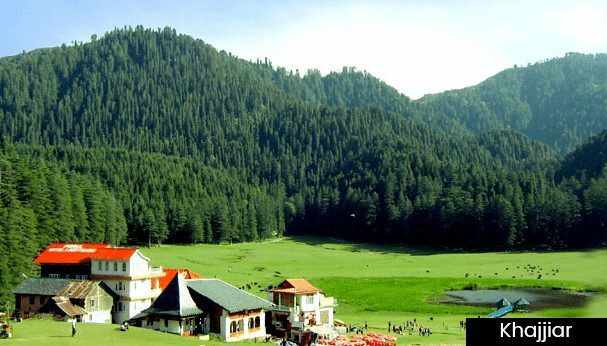 Khajjiar is often known as the “mini-Switzerland” in India due to its green pasturages, dense woodlands, and pristine lakes. Landed at an altitude of 6,500ft, the natural beauty and scenic landscape of this place are sure to captivate each visitor. This region is also famous for its nine-hole golf course which is comprising lush greenery and an elegant panorama. 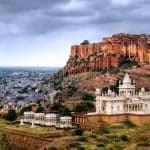 Along with this, you can also explore for adventure sports from horse riding, zorbing, trekking, paragliding to Khajjaiar lake and much more to explore. 3) The Victorian Charms of Dalhousie! The hill station of Dalhousie gives colonial appeal which evokes nostalgic memories of the British India. 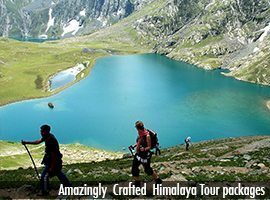 It is one of the most charming destination to tour in Himachal Pradesh due to its incredible natural beauty. The town’s distinct height have gifted it with a diverse mixture of vegetation from deodars, oaks, to pines. Besides, this charming little town maintains a vibrant architectural legacy, much of which is visible in its beautiful churches alike St. John Church and St. Francis Church. You could also visit the Subhash Baoli Panjpulla, get an incredible scene of Bakrota Hills or relish a picnic at Kalatope animal sanctuary. 4) Dharamshala – The Little Lhasa or “Dhasa ! Dharamshala is lovely hill station, established about 17 kms above towards northeast of the Kangra town. The city is surrounding with oak conifer trees and snow-clad peaks from three sides. It gained its recognition as “The Little Lhasa in India,” or “Dhasa” because of its large population of Tibetans. Some of the places which are must explore in the region are the Kangra Art Museum, War Memorial, Kunal Pathri Temple and the lush green tea gardens on the way to Kunal Pathrit temple. Bajinath Shiv Temple, St. John’s Church, Triund Hill, Dal Lake, Bhagsu Nath, Bhagsu Falls and never the ending list of incredible places around the region continues. Do you want to know what makes paragliding at Bir-Billing Valley so special? Then the fact that this area has hosted the first ever World Cup of paragliding in the world gives you all the answers. The incredible altitude and climate of this region make it perfect fit for any airborne gliding sports. Furthermore, the region also has best takeoff and landing sites, according to the air current and perfect cloud base. 6) Rohtang Pass – A World Beyond! Make sure to visit Rohtang Pass when you plan a holiday in Himachal Pradesh. Settled at around 51km above from Manali and the area is only accessible by road way. Despite, the trip worth it because what awaits will exceed all measures of expectations of the eyes. Hereabouts, the mist hovers care free in the open air, and as your car negotiates its way through the narrow roads followed with snow walls on both of your sides, then you will know that things which you have experienced were something truly extraordinary. 7) River Rafting in Manali! Apart from engaging with the beauty of its scenic panorama, Manali has been an ideal destination for water sports and various other adventure sports activities which also includes River rafting. River Beas, extending over a range of almost 20km in Manali with the right kind of endurance, provides the perfect location for this exciting sport. 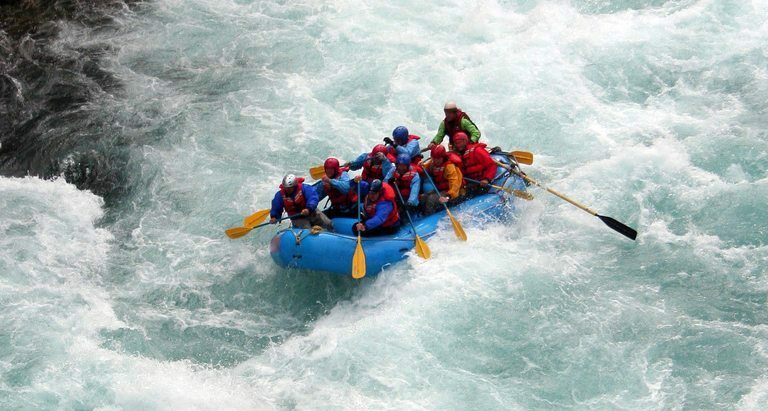 Possessing significant currents, it provides the conditions for river rafting to go throughout the whole year. Still, the best period for river rafting is June and July. Amongst the various places to visit in Himachal Pradesh for the scenic landscape, visiting the numerous lakes of the Himachal is also must! The fabulous lakes spread throughout the state decorate its underlying virtue. Brighu Lake is one of the famous lakes here. Kareri Lake which has crystal clear waters is also a famous picnic spot. Maharana Pratap Sagar Lake, located in the city of Pragpur, is a human-made lake and has been reported as one of the top 25 international wetland sites in the India. 9) The Nation of Monasteries! 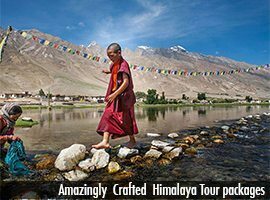 Himachal Pradesh is house to some of the most classical monasteries in the whole world, besides being the residence of the 14th Dalai Lama. One of the leading monasteries is Shahshur Monastery. Established in the 17th century AD, it attracts throngs of travelers in the month of June and July as meanwhile, the Lamas performs devil dance. Namgyal Monastery is one of another monastery which is popular for the traditional Tibetan architectural designs that beautify its interior. Some of the other great monasteries are Gemur Monastery, Dhankar Monastery, and Kye Monastery. What makes the sanctuaries, and the wildlife of Himachal Pradesh, so special? One of the unique things which make this region’s wildlife exceptional is the animals present in the Great Himalayas. 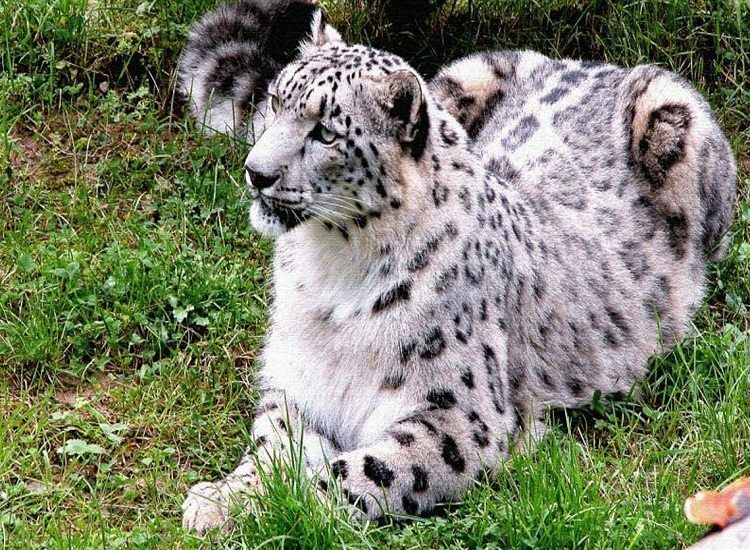 A visit to its wildlife sanctuaries lets you explore various exotic animals from Snow Leopard, Black Bear, Barking Deer, Goral to Sambhar and many others. Musk Deer, Monal and Brown Bear are also seen in the various wildlife sanctuaries in this region. Some of the most prominent wildlife sanctuaries are Renuka Wildlife Sanctuary, Simbalbara Sanctuary, Kanawar Sanctuary, and Great Himalayan National Park where you can see all these animals. 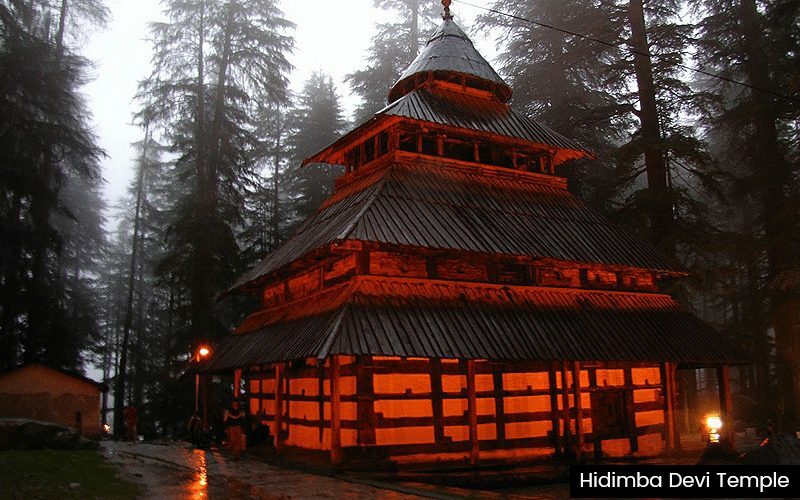 Himachal Pradesh is also known as“Dev Bhoomi,” or, the Land of the Gods. Its great mythological past can be observed in the various magnificent temples spread across the Himachal. Chamunda Devi Temple established 15km from Dharamsala, is another well-known temple of Goddess Chamunda Devi. A vast water pond where the statues of Lord Shiva and Saraswati Mata is built just in the center of the pool. One of the other most visited religious temples by pilgrimage in this region is Bajreshwari Devi Temple of Kangra. One other temple which is significantly famous is Jwala Devi Temple, whose dome was a gift from Mughal Emperor Akbar. For witnessing grandeur and magnificence on a majestic scale, plan a stay to Laxmi Narayan Temple in Chamba District. 12) Fairs and Festivals, The Year Round! Himachal Pradesh, being a blend of various cultures, celebrates a variation of exhibitions and festivals around the year. Just like everywhere else, these festivals are marked by colorful dance shows, mask dances various other local cultural rituals.And one of this celebration is the “Halda Festival.” Arranged to greet the New Year, it witnesses the lighting of a bonfire by the lamas in the monasteries which signify the union of the community. Sazo, which is celebrated to bid goodbye to the village gods, is the most anticipated festival of the state. Doongri Festival celebrated mostly in Kullu District, which celebrates the birthday of Hadimba Devi Mata. 13) Himachal Pradesh – Abounding in Adventures! Himachal Pradesh has been gifted abundantly by nature, and is the ideal place for seeking adventure, and involving in adventure sports activities as Indeed, adventure abounds in this region of the world. River rafting is becoming very popular with in the state, and some of the rivers where you can observe rafting in Himachal are Sutlej river at Tattapani near Shimla, on the Beas river near Kullu, and the Ravi river near Chamba and Chandra in Lahaul District. Paragliding is best experienced at Bir-Billing “the Paragliding Capital of India” in Kangra district. Moreover, other places where you can explore paragliding is Bundla Dhar near Bilaspur and the Solang Valley near Manali on the way towards Rohtang pass. 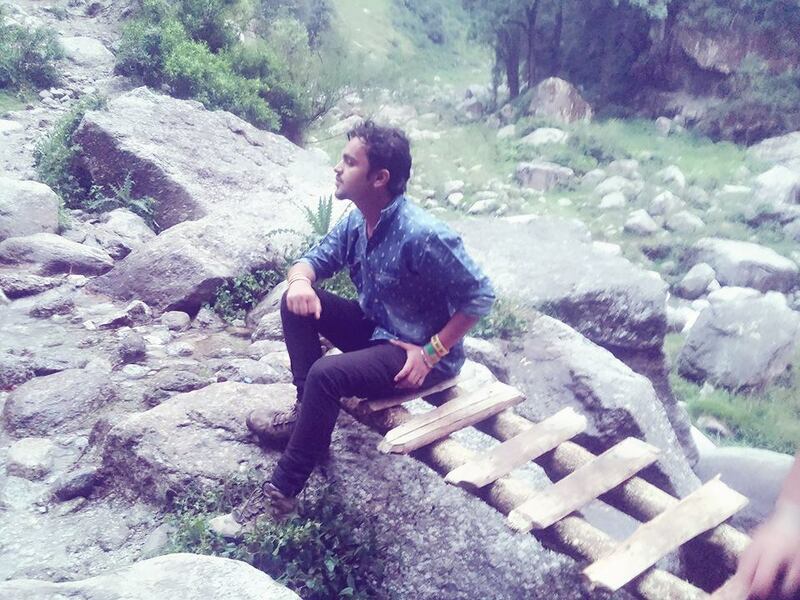 Mountain climbing and trekking are best experienced at various nearby Manali like Indrahar Pass Trek, Beas Kund Trek, Chandratal Baralacha Trek, Hampta Pass Trek, Pin Parvati Pass Trek, Deo Tibba Trek and list numerous of various other treks in the region continues. 14) Kangra Valley – Various Fascinations! Kangra Valley tracks its history back from the Vedic times. Sheltered by the divine Dhauladhar Range, it’s one of the most picturesque valleys of the lower Himalayan region. This amazing valley is gifted generously with greenery, besides other human-made monuments, temples, and many other such attractions. One of among them is the “Great Kangra Fort,” touring this fort brings you back in the past. The rich ancient history of the state can be witnessed through the Fort of Nagarkot. One can come across an excellent pattern of Indo-European architecture at the Judge’s Court either go for an excursion to the heritage village of Pragpur in District Kangra. Chail is a captivating hill station steeped in tranquility and peace. This place must get a mention in your list of destinations to tour in Himachal Pradesh. Furthermore, Chail is known for having the world’s highest cricket and polo ground. This place offers some scenic views of the nearby beautiful hills. One of its primary attractions of Chail is the Palace Hotel. Previously owned by the Maharaja of Patiala, and now it has been converted into a luxurious heritage hotel. A magnificent temple Kali ka Tibba worth visiting once. To discover a variety of flora and fauna, visit the Chail Wildlife Sanctuary, perched at the altitude of about 7,152ft. So finally our article on Top 15 Reasons to Plan Himachal Pradesh vacations in India ends here. 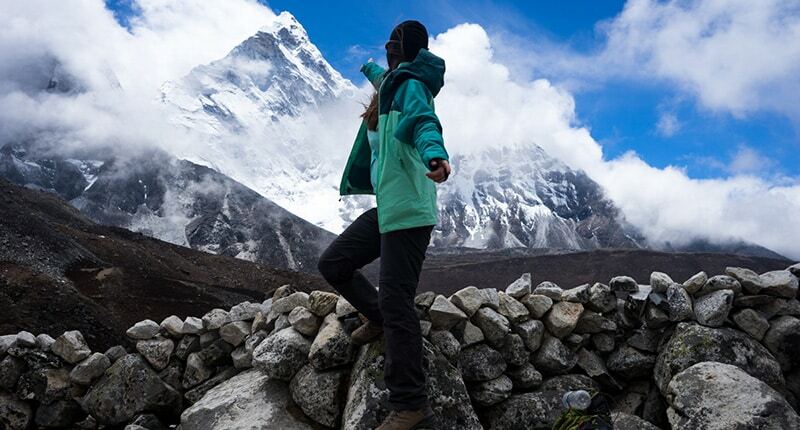 Hope it will help you to explore far enough and in the planning of next vacations to the Himalayas. I think other website proprietors should take this site as an example , very clean and excellent user friendly style. Woah! I’m really enjoying the template/theme of this website. It’s simple, yet effective. A lot of times it’s very hard to get that “perfect balance” between usability and visual appeal. I must say you have done a very good job with this. Additionally, the blog loads very fast for me on Opera. Exceptional Blog! Excellent post. I was checking constantly this blog and I’m impressed! Very useful info particularly the final part 🙂 I care for such info a lot. I used to be seeking this particular information for a very long time. Thank you and best of luck. Thanks for some other magnificent post. Where else may anyone get that kind of information in such an ideal manner of writing? I’ve a presentation next week, and I’m at the look for such information. Hi there very cool blog!! Man .. Beautiful .. Wonderful .. I will bookmark your blog and take the feeds also…I’m satisfied to seek out a lot of helpful information here in the submit, we need work out more strategies on this regard, thanks for sharing. . . . . .
Keep up the fantastic work, I read few posts on this website and I conceive that your weblog is really interesting and holds sets of good information. Its like you learn my mind! You appear to grasp a lot about this, such as you wrote the e book in it or something. I think that you simply can do with a few p.c. to power the message house a bit, but other than that, that is excellent blog. A great read. I will definitely be back. I simply want to say I’m all new to blogs and really savored you’re website. Almost certainly I’m want to bookmark your site . You surely come with excellent writings. Thanks a bunch for revealing your blog. Hello my family member! I want to say that this article is awesome, great written and include almost all vital infos. I’d like to look extra posts like this .